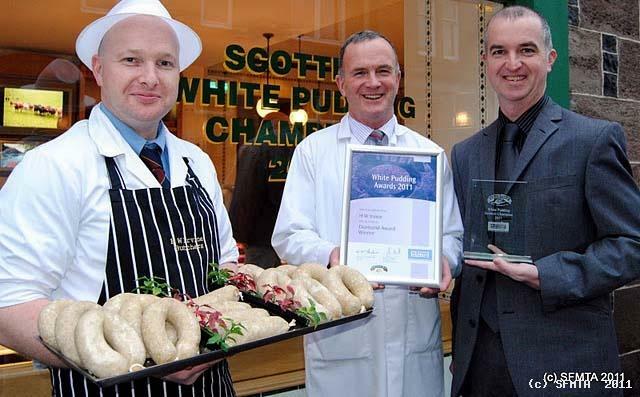 Champions title goes to Blairgowrie Butcher in first ever White Pudding Evaluation. If there was ever a gathering of the great chieftains o’ the puddin race that would not only include haggis makers but also those making Scotland’s other national pudding – the White, or Mealie as it is known as in some quarters. Blairgowrie butchers HW Irvine can now rightly take their place among the chieftains after being crowned Scottish champions in the first ever product evaluation for White Puddings. The contest was held in rural Aberdeenshire, the heartland of the oatmeal based favourite. Puddings from all over Scotland gathered at the Strichen Community Park to be judged by food industry experts, the ladies of the Aberdeenshire SWRI and other local foodies. The best five were selected to be mystery shopped and when re-judged by a different panel, the Blairgowrie version emerging as the best. “Irvines have been making white puddings for over 50 years using a tried and tested recipe. However, as people’s tastes have changed we adapted our recipe accordingly and as we thought our puddings were great we entered this competition. 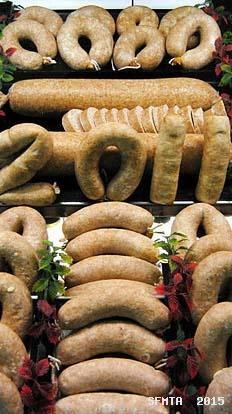 The White Pudding Evaluation attracted 62 entries from white pudding makers throughout Scotland . The organisers Scottish Craft Butchers were stunned by the interest in the event with entries coming from butchers from the Solway Firth to the Pentland Firth . 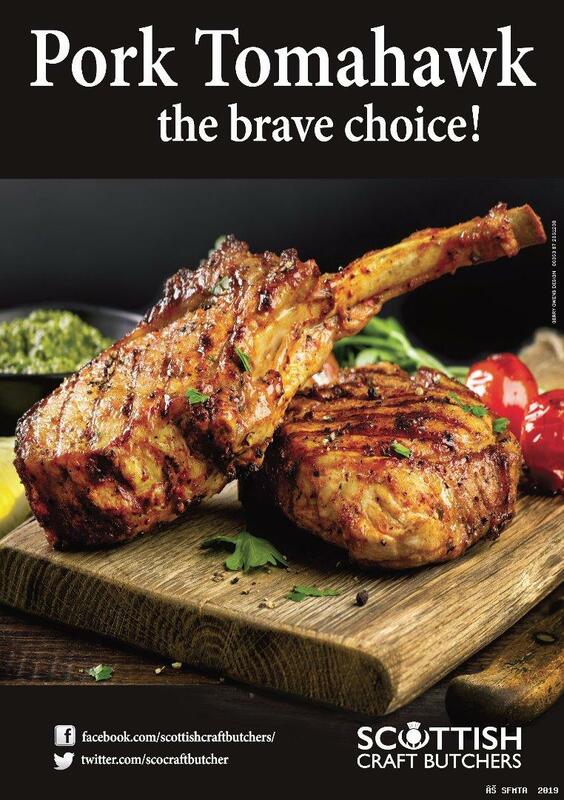 Given the enthusiasm it is likely that the event will become a regular addition to the meat products competitions calendar.